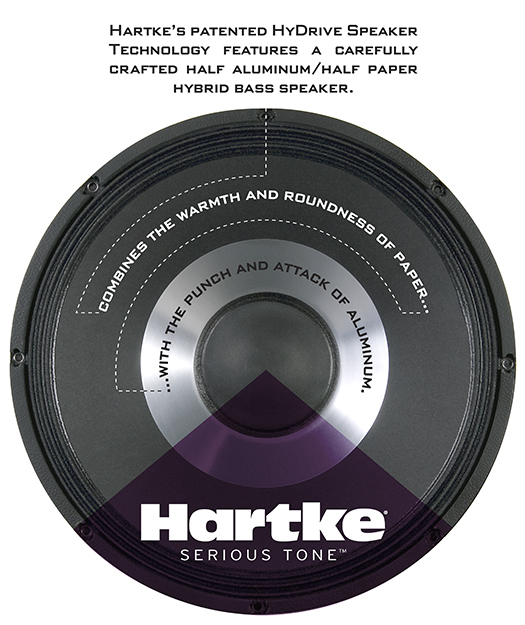 The HD150 (150 watts, 15" driver, 1" tweeter) employs Hartke's patented HyDrive Speaker Technology that offers a carefully crafted hybrid (half paper, half aluminum) cone bass speaker. By combining the warmth and roundness of paper with the punch and attack of aluminum, the HyDrive design produces serious tone that is ideal for bass players of all genres and styles. Packed with professional features, the HD150 combo is designed to be user-friendly and reliable for players of all levels. The combo offers Volume, Bass, Mid and Treble controls on its top-mounted amplifier panel, as well as a 7-band graphic EQ, allowing for easy adjustments. 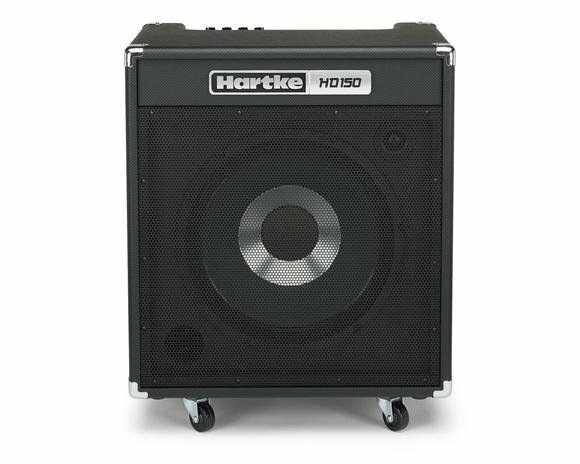 It features a full effects loop, as well as an 1/8" stereo Aux input for playing along with your favorite tracks via an MP3 player and a 1⁄4" headphone output for more intimate practice sessions. The HD150 also has an XLR direct output for routing your signal to a mixer in both live and studio settings. 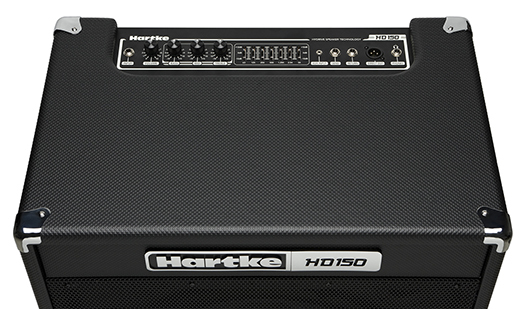 In addition, the HD150 has a built-in limiter to ensure constant amp operation at safe levels. Lastly, its solid enclosure is finished in a stylish fashion with a sleek, perforated metal grille, side carry handles and casters.